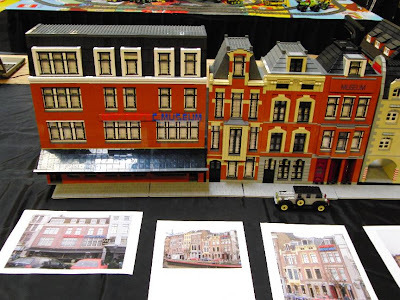 Brick Town Talk: Museum - LEGO Town, Architecture, Building Tips, Inspiration Ideas, and more! Very recognizable, I used to work right around the corner from the Mariniersmuseum in Rotterdam, so I drove past it every day. cheop did a good job capturing the building's look. Its a great starting point using an existing building. I particularly like the use of colour and the rooves.